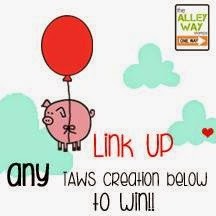 before all the fun stuff.. :) I wanted to show you this..
NOW :) I wanted to tell you something fun we are going to be doing each month.. Each month on our Facebook page all month long, you can post pictures of your creations using your TAWS stamps or the freebies we provide.. at the end of the month one random person will be a lucky winner who will receive a stamp set of their choice. There is NO max, you can upload as many as you want!! So get creating and upload those creations!! For our next Surprise!! are you all ready??? Our fun stamps for this month are..
adoraBOWL-hehe it's just that.. adorable. This is a fun retro set, that is sure to get you in the mood to have a good time. There were some of you requesting a fun bowling set, so we put our thinking caps on and came up with this. Fun 50's glasses, and sentiments to match each image.. You won't have to "SPARE" any details when you buy this set. 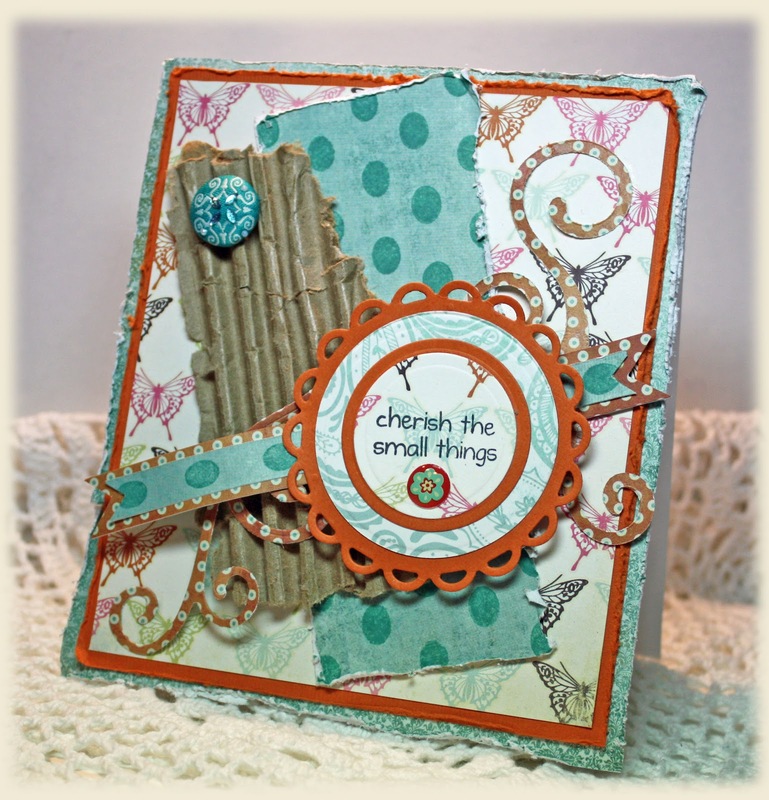 Chatterbox-is another fun play on words set that is perfect for merging.. This set will go perfect with any of TAWS sets you have, but will rock it with the Jibber Jabber set. 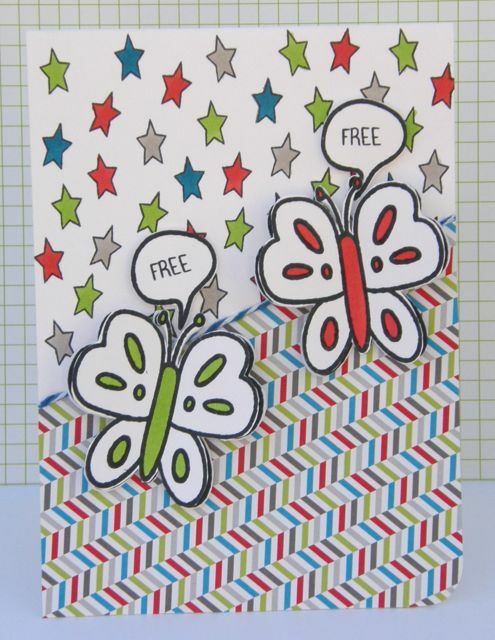 We have also added some fun sentiments like BEE-tween, or BEE-cause.. so you can use it with the Priceless Joy set.. or how about Spread your "wings" and fly to go with the plane.. the options are endless. ei-ei-o- Old McDonald did have a farm, and I bet it was something cute like this.. with a fun barn, a cute fly buzzing around, and some little animals to make sure you can put an "oink, oink, here and an oink, oink, there" this set goes perfectly with our "get moovin set"
get moovin-we had to do a fun horse and cow, we wanted to add a horseshoe, cloud, raindrop, hay, chicken scratch, and the perfect sentiments to partner up with the ei-ei-o set..
Gotta Bug?-This set is perfect to use for those people you know who need a little pick me up, feeling blue, or they have "caught a bug".. send them a jar full of warm fuzzies, or maybe you know someone who is a total "pill or Prescription" when they are sick.. there is even a little guy to help you out.. how about put one of the 3 faces on the band-aide, inside the jar, on the warm fuzzies, or on the prescription bottle. The pills come out of the jar for the popular stamp in a stamp to give you an extra added bit of fun. Hey Cupcake-this set is so versatile I am so excited to share it with you. Build your own cupcakes the way YOU want them, place the fun faces inside the cherries, on the cupcakes, or leave them off.. this really is a set that you get to have it YOUR way! This set also features the popular stamp in a stamp to give you an extra added bit of fun. Mustache Mania-this set is near and dear to my heart.. I only have 2 pictures with my Dad without a Mustache, I love them.. This is such a fun set with patterned mustaches, and barber shop poles.. old fashioned razors are sure to make sure you have the perfect trim. Phraseology-I love background sets.. and what is more fun than your own WORD SEARCH.. find words like Celebrate, BFF, Laugh Often, I heart you, a note, Kiss Me, etc.. there are so many fun phrases, and words on this stamp. It will be fun to circle, chalk, or even cut out your perfect phrase and use it as a background. Work it Out-I don't know about you, but one of my New Year's goals is to be fit.. not skinny, just healthy.. and this set was a perfect set for me to motivate all my friends who want to do the same thing.. It's a great way to show them that you support them wanting to be healthy and fit.! 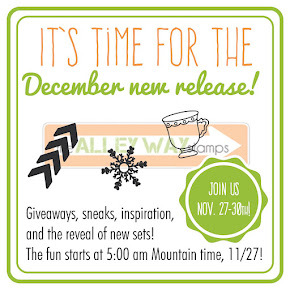 This is the last day for sneak peeks.. Tomorrow (tonight at 10:00 pm.. we are in UT so that's midnight for all those on the east coast.) 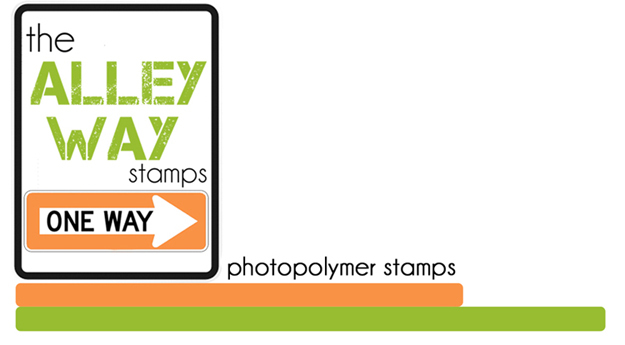 these new stamps will be available for you to purchase.. I can't wait to see the crafty things you all come up with..
ahh.. little monsters, you have to love them, especially when they are so cute! I love that Marcy﻿ took the Monster birthday wishes and made her own background paper too... :) green and purple how fun right? ( you can pick and choose which ones you want to do.. but the more you comment the better chance you have to win) THREE people will picked to receive one of the new sets! You have until FEB 29th to leave comments. 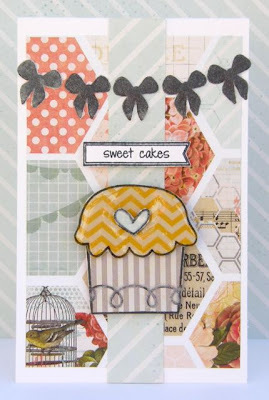 Annette made this yummy card using our Hey Cupcake stamp set.. I love how she added glossy accents, and hung the bow for a banner..:) the patterned paper is so fun too..
Barb is a big animal lover, so it's only natural that our new Moovin' and ei-ei-o sets are quick additions to her TAWS favorites list! She's colored these guys with colored pencils then added lots of texture, layers and a bright distress-stained background to make everything pop. Don't you just love that woodgrain in the back, and how she used the water to make it a different texture.. :) so fun!! 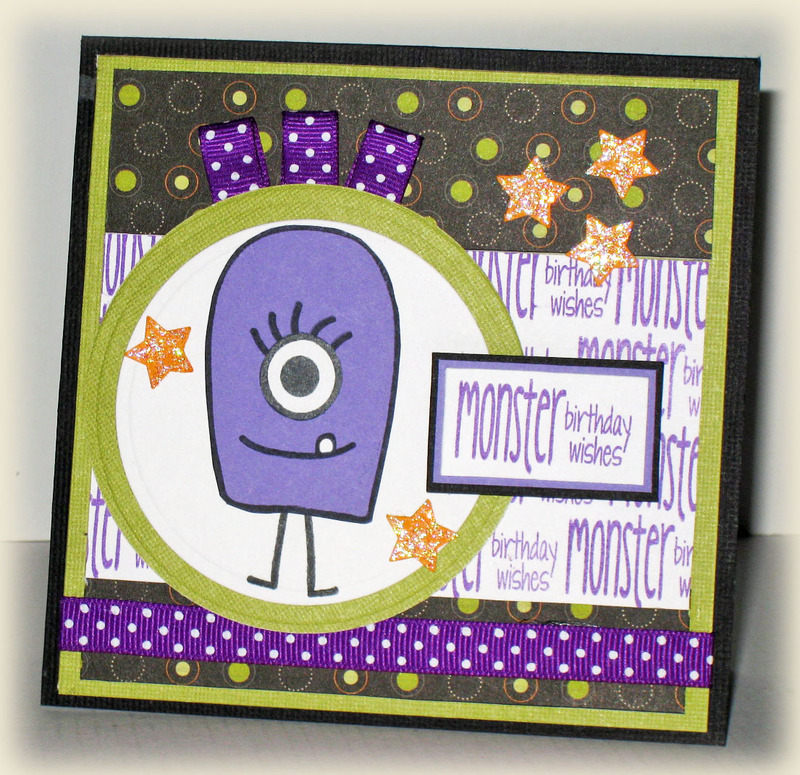 I am so excited to show you more of the Behind the Alley samples using our March release Laurel has used the new Monster Mash set. don't you just love that sentiment? 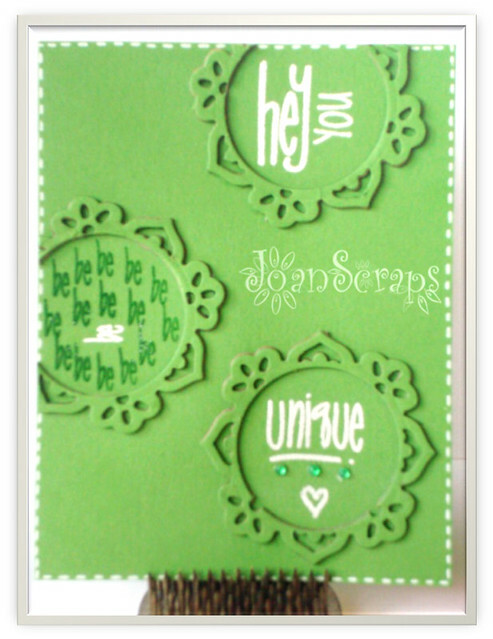 Here is another fun SUPER easy card using the new Phraseology background.. :) enjoy! It's Behind the Alley for the next 4 (weekdays) days.. and we are ready to share with you samples and give you a little sneak peek of what March release holds.. 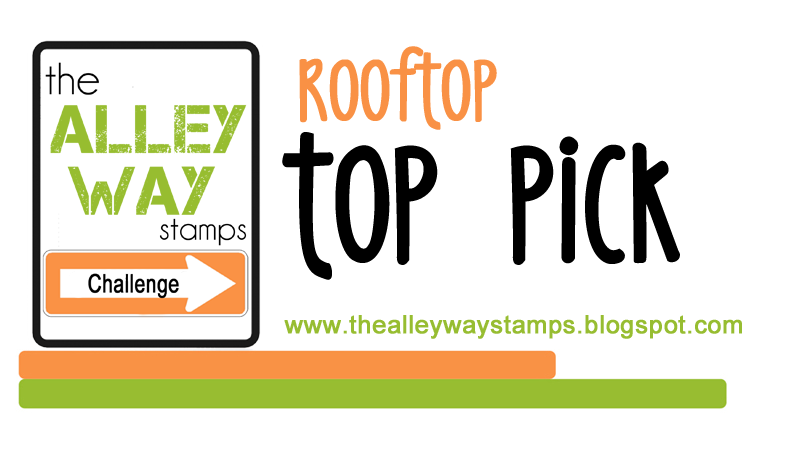 There are NOT 3, NOT 5, BUT 10 count them 10 new sets from The Alley Way Stamps that you can buy on March 1st in our shop. 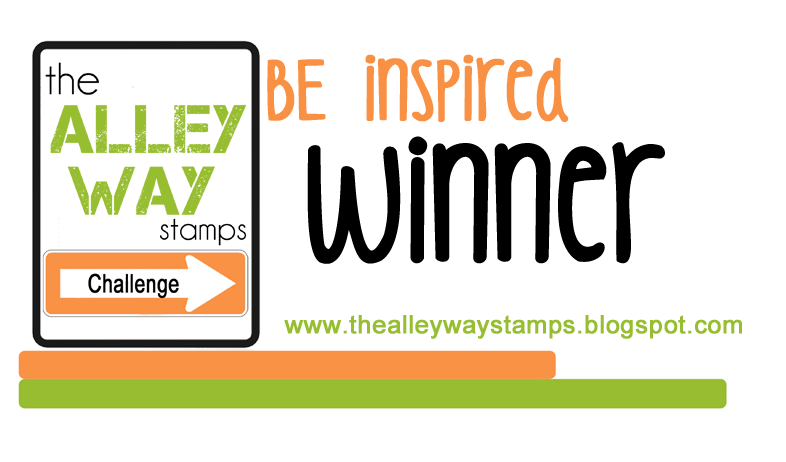 The Alley Way Stamps being such a new company and all wanted to go to CHA, but it wasn't possible.. So we decided to hold our own CHA here with all of you!!! BUT WAIT!! That's not all.. on MARCH 1st we have ANOTHER HUGE Surprise for you :) Don't you just love surprises..? 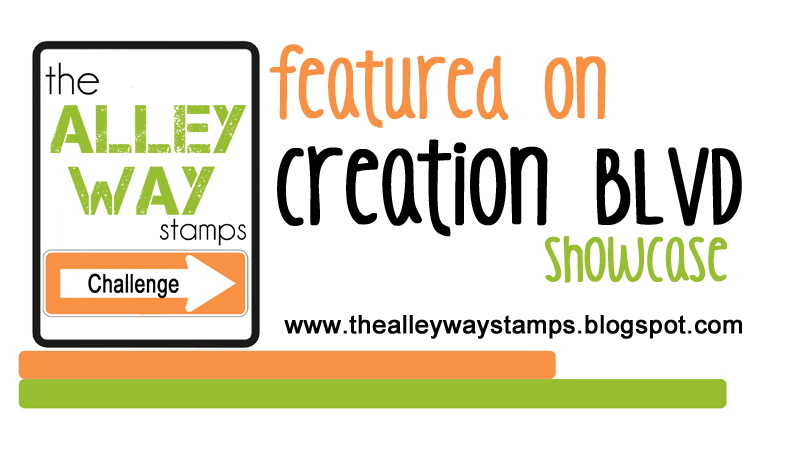 You want to come back each week day, for the next 4 days to see more creations from the TAWS DT.. you won't want to miss this..
Today is the day for our CREATION BLVD Showcase.. We love seeing what people are making with TAWS.. it's so exciting to see how these little stamps are inspiring you.. Here are some of our favorites so far.. if you would like a chance to be featured on our blog..upload your creation using TAWS or a freebie to The Creation Blvd..
created this amazing card, I just love how that bow pop's right off the page, making a fun statement for sure on it's little tag. Marcy created this adorable card reminding you to ZOOM back over here tomorrow :) I just love the playfulness of this creation. 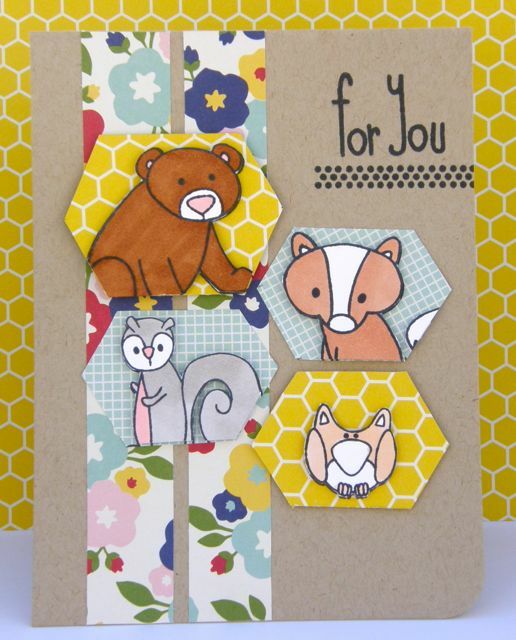 Isn't that patterned paper fun! We are getting closer to the BIG, no HUGE, no GIGANTIC Surprise.. so EXCITED!!!. Some of you might not know this.. but it's so hard for me to keep a surprise back.. I just want to tell everyone! My DT girls know that I draw up something, and share it.. I just can't keep it in... HURRY up 24th.. come quick!! Danielle Daws.. 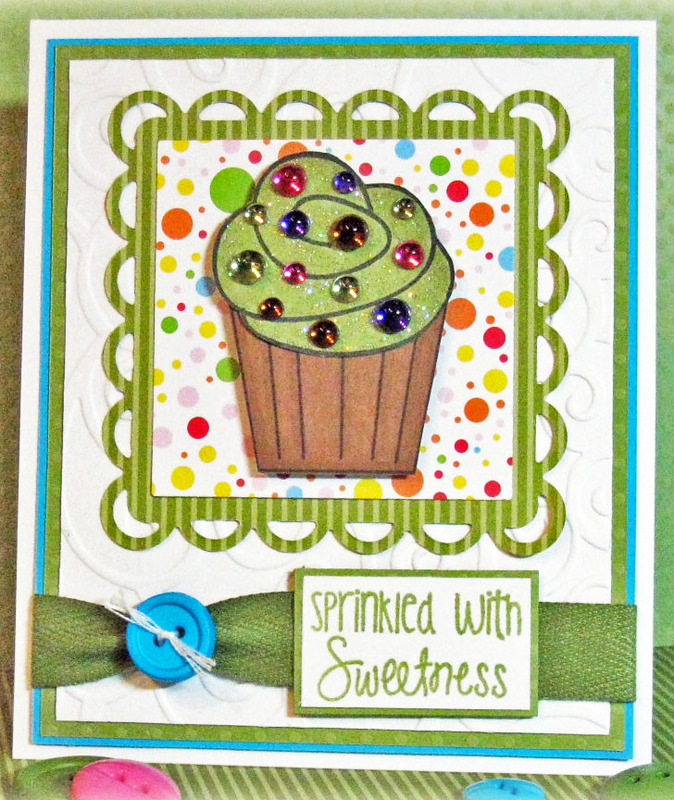 Your card was so amazing, the colors and style just ROCKED! 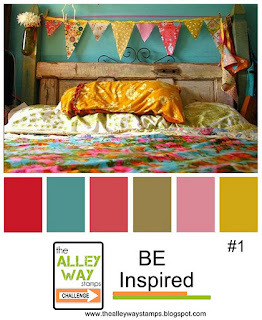 Robin Funge: we love your colors and the way you took this challenge and ran with it :) love that heart in the ear so fun! You all know I love shaped cards.. Barb paper pieced an encouraging card using Crazy Critters, Talk to Me set.. Don't you just love that plaid paper with the adorable little squirrel.. those fun mushrooms give this card a woodland feel too.. and it wouldn't be complete without some twine, and a sentiment from Kitchen Gadgets. 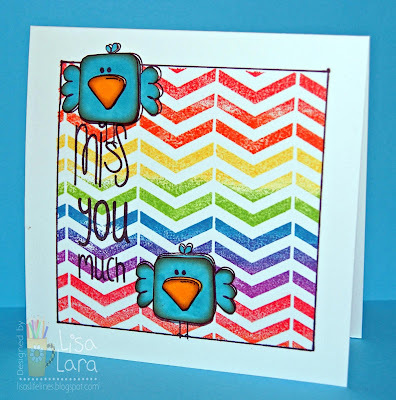 Lisa's colorful card showcases Background Basics using the Chevrons and a rainbow of ink colors. Love how she masked off a border and outlined it with black pen. Her sentiment from the Jibber Jabber set takes me back to the Janet Jackson song. Oh those cute little birds from Priceless Joy are the icing on this creation. Rainbows always make me so happy, and so does this card.. 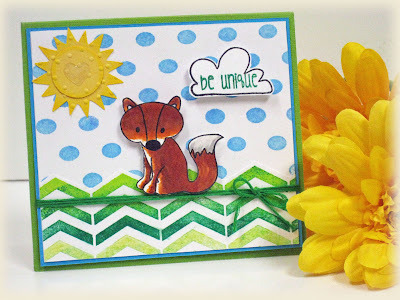 I just adore the way Marcy use the chevron from the Background Basic set to make grass.. Don't you just love how she colored her little fox.. and the polka-dot sky is so fun..
Barb has created a card using the Roadway stamp from Background Basics to make this plaid patterned "fabric of love﻿"! Navy, white and gold inks make up the pattern and a computer-generated sentiment reads like a care tag. Sweet! Head over to Barb's blog for more details. 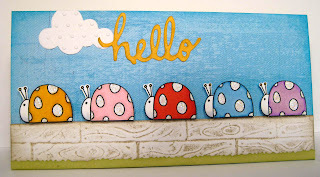 I love patterned paper.. and this cars screams it.. Annette used Talk to Me and Crazy Critters to paper piece this beautiful card together.. 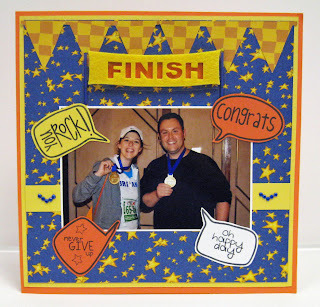 I love that she put the owl on the stump.. and has a bow on the talking bubble.. how fun is this..
Laurel has used two sentiment sets (Talk to Me and Jibber Jabber) to create this quick and easy card for another little boy in her class. If you love monsters.. then wait until you see what's coming your way in March! 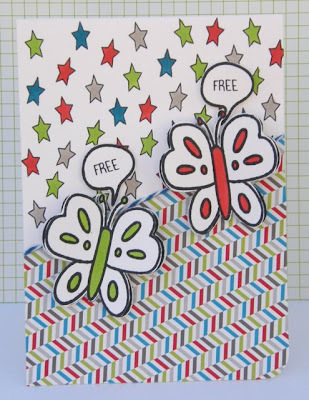 Don't you just love the fun, bright colors..
Barb has created a CAS card set for us today. She used Background Basics and Jibber Jabber. Here is one of the cards which shows the basic design...all she changed out from one card to the next was the sentiment. She used the kissing technique to apply a woodgrain pattern to the solid chevron background stamp. The whole design was highlighted with a light spray of white mist. Quick, simple and suitable for anyone at all. 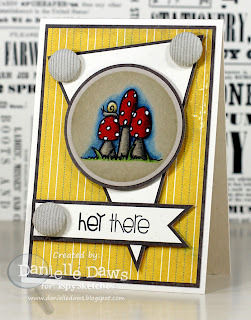 Visit her blog to see the rest of the set and for details about how the cards were constructed. 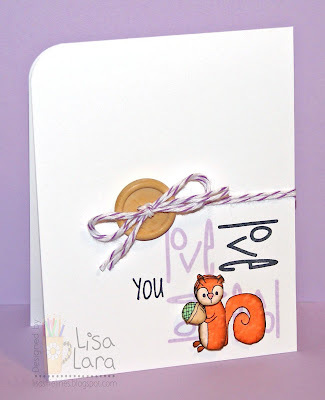 Lisa made a UNIQUE card using February's Crazy Critters and Talk To Me sets. Just look how that white mushroom pops on that Kraft! 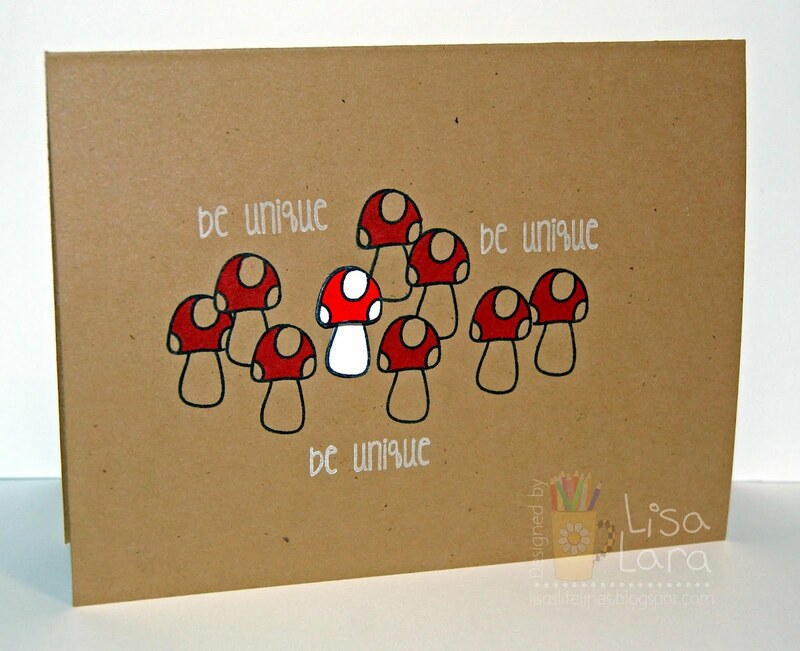 Lovin' those masked shrooms and white sentiment.This would be so fun to to do in a rainbow of colors too.. what a great idea..
lift off with Annette, she used the new Basic Background stamp set and created this fun runway. Using the wheel from the car in Priceless Joy. She also used Talk to me and Crazy Critters. 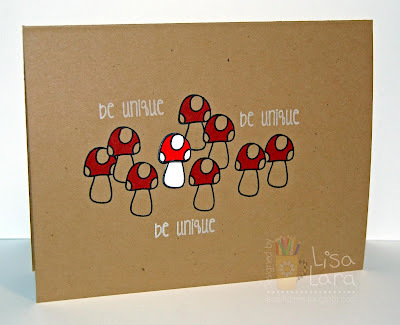 Laurel used the Background Basics to create a notebook paper which when punched with a notebook punch works really well for this school themed card. 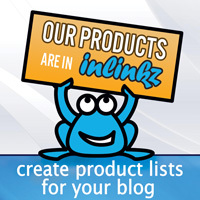 The little owl is from Crazy Critters and of course the talking bubble is from Talk to Me. 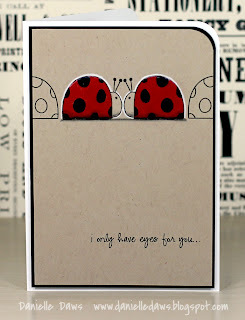 I just love how she created a scene.. that red really brings this card some pop! 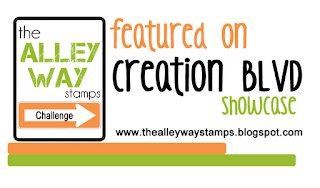 don't forget our BE inspired Challenge.. top right of the blog.. also link ANY project using TAWS stamps.. as long as they have not been posted there before to our Facebook page and our Creation Blvd to be spotlighted, and win a free stamp set.. :) hope you come and play!